Successfully Added Innos D6000 Smartphone- 5.2 Inch Gorilla Glass Screen, Snapdragon Octa Core CPU, 6000mAh Battery, 3GB RAM, Android 5.1, 4G to your Shopping Cart. 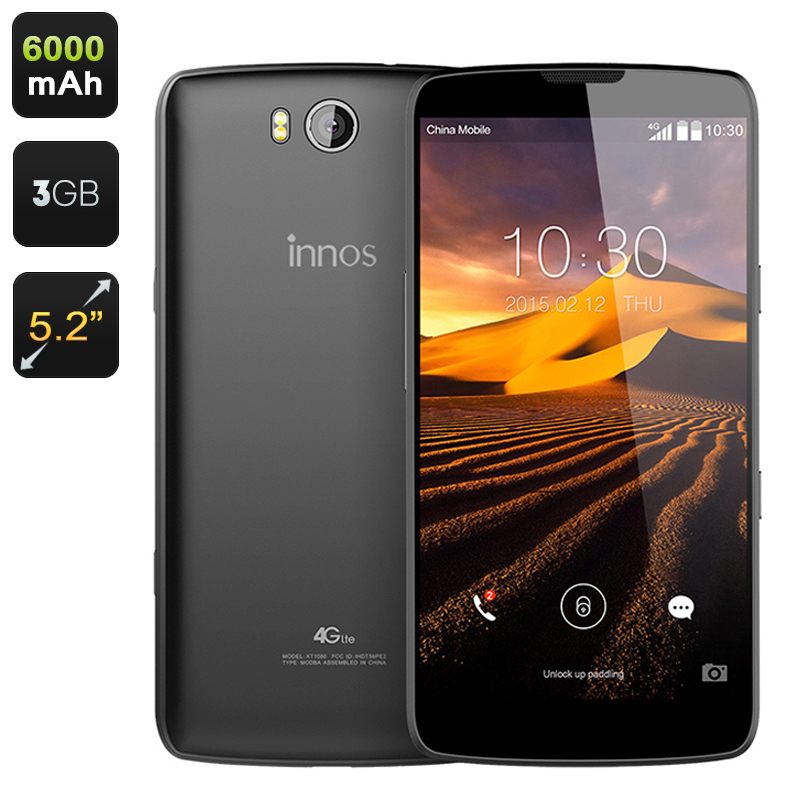 The Innos D6000 is a nice Android 5.1 smartphone with a beautiful 5.2 inch FHD screen protected by Gorilla Glass. With a massive 6000mAh battery and 4G connectivity, it offers great value for your money. If you plan to often use your smartphone for watching various media or playing the latest games, the D6000 comes with a screen that is just perfect for that. With the full HD resolution, the smartphone’s 5.2 inch screen is great for watching movies on the go, working with various apps or surfing the web. Thanks to Gorilla Glass protection, the phone’s screen is also sturdier that other models’ and won't be easily scratched or damaged. With Android 5.1, you will have an improved user experience and access to all the apps you want at the Play Store. There are 32GB of internal memory and the support of up to 128GB externally via the micro SD card slot so you will have plenty of space for all the files you want. Battery life is a big issue for any smartphone. If you love watching movies, surfing the web and making full use of your smartphone’s capabilities, you need a battery that can handle it all. The Innos D6000 comes with a built-in battery + a removable battery with the total capacity of 6000mAh. That gives you up to 15 hours of continuous usage time and up to 100 hours on standby. The smartphone comes with great connectivity including the 4G network and features a powerful Snapdragon Octa Core CPU to ensure no lagging and smooth and speedy operation at all times. The Innos D6000 Smartphone comes with a 12 months warranty, brought to you by the leader in electronic devices as well as wholesale Android Phones..